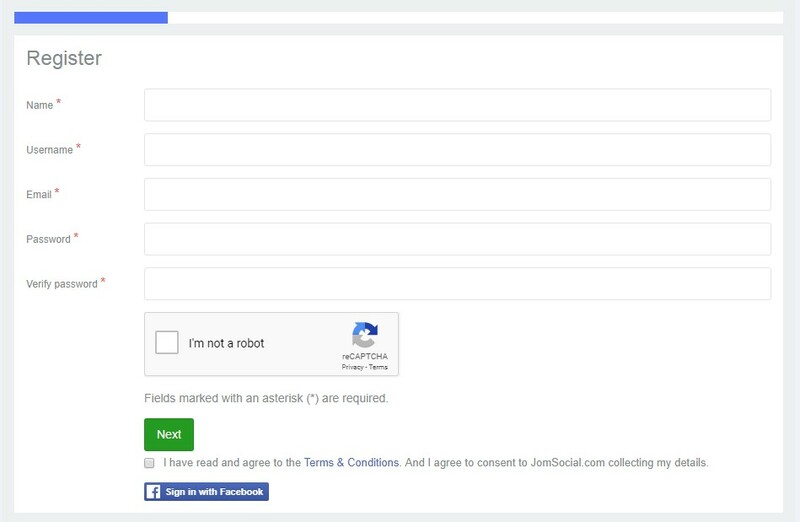 Sign up your JomSocial site domain at ReCaptcha's site. Enable ReCaptcha and input the Public and Private Keys acquired during ReCaptcha's registration. 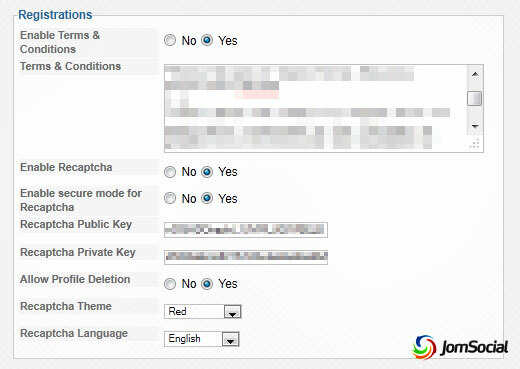 For SSL sites, choose Yes to Enable secure mode for Recaptcha. Note: Many people will provide good arguments for using ReCaptcha to prevent spambots from registering on the site; however, if the JomSocial registration flow is the only way for users to register on the site, and you use Custom Profile Fields, you will most likely do just fine without ReCaptcha since there is no way for spambots to guess all of the custom Profile Fields you set, especially if you use a combination of dropdowns, checkboxes, multiple selects, etc..